Let’s see…what animals do we have here. Emporer Tamarin. Big Horn Goat. Bearded Reedling. Schnauzer. 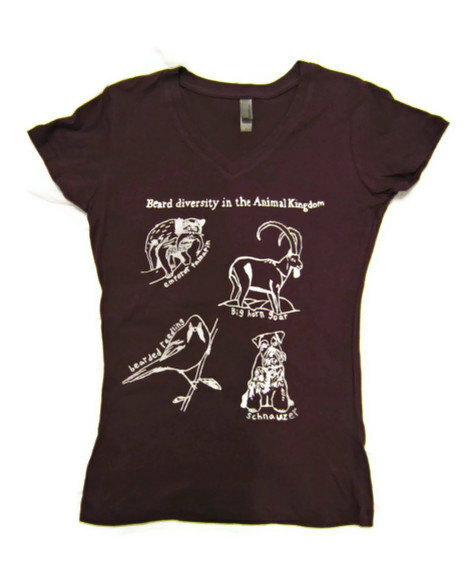 If you’re into the facial hair of monkeys, goats, birds, and dogs, then this shirt was designed specifically for you. I mean how much synchronicity do you need before you take action. Basically, you, Fraggles and Fraggles and the Universe just came together for an amazing gathering. BTW: I like the phrase “beard diversity in the animal kingdom.” It has a ring to it.